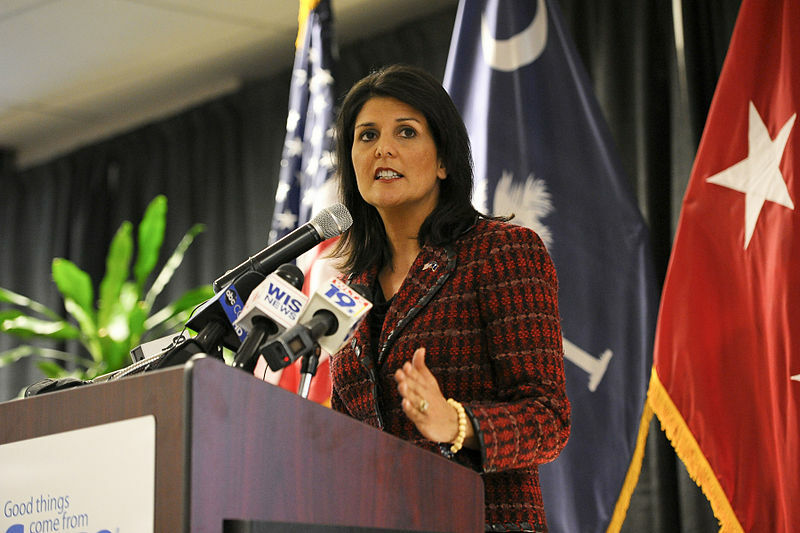 For years, Nikki Haley, Indian-American Governor of South Carolina, seemed to be OK with a Confederate flag flying on the grounds of the State Capitol. Finally in recent days, this position became politically untenable for her, and numerous other Republicans who had been fiercely defending the flag’s right to be there. It is interesting that a white supremacist massacring a congregation of blacks while they were at church finally led the Indian-American Governor to change her mind. Haley’s previous opinions on the matter were ridiculous. She was of the opinion that if most business leaders in her state were OK with the flag, then she should be too. It was a surprising position to take for one of her ethnic background, but less surprising if one considers the political calculus in Deep South counties. Nikki Haley wanted to belong, and if that meant supporting the flag, so be it. But after the massacre, by a young man who had posed with the Confederate flag in public photos, supporting the flag became too toxic for most politicians. The legislature must now agree to have it removed, but we don’t see that being an issue thanks to the massacre. We are in the middle of a presidential election cycle. Republicans are rallying around a flag that matters more to them than the Confederate one- the GOP flag. Continued debate on the subject would do little more than keep hurting Republican presidential hopefuls and potentially lock the party out of the White House for four more years. Even if Nikki Haley and her GOP colleagues came around for cynical reasons, what matters most is that the flag will soon come down. Better late than never. For that, we give our own cynical applause. Posted on June 24, 2015, in Politics/Diplomacy and tagged Confederate flag, Nikki Haley. Bookmark the permalink. Leave a comment.